Welcome to our Burning Man Survival Guide. We hope our tips help it make The Best Burn EVER! At night it gets pitch dark at Burning Man. If you are a “Darktard” you are someone who will probably get hurt. Here are tips for lighting yourself up so you don’ get run over by a mutant vehicle at night. What are the best masks for keeping out the dust at Burning Man? Here is a guide to what you need for a good Burner Mask and where to find them. What are the best goggles and sunglasses for Burning Man? This guide goes through what you need to have with you for night and day, to keep those beautiful eyes of yours protected. One of the more defining pieces of your Burning Man gear will be your Your Drinking Cup. It is Essential to the festival experience. Some are reasons are practical, others are spiritual. Here are tips for picking your Burning Man cup. May 1 Don't Leave Camp Without it! Are you ready to roam around Burning Man? Here are some essential items to make sure you take with you on your epic journey of discovery. We don’t send emails very often at all. Just when there is something really cool, like tickets going for sale or something. Disclaimer - We only want to send good vibes. If we are not, please let us know. Got a Tip, Video or Event? Use a form to tell us. Did you find this helpful? Please give us a tip to pay for hosting and camp dues. 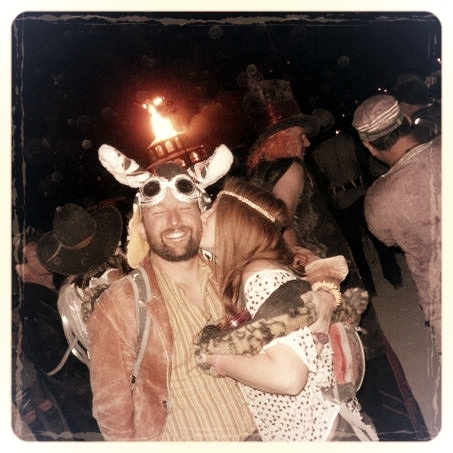 We are not affiliated with the Official Burning Man Organization or even Unofficial Burning Man Organizations. This site is for educational purposes only. Copyright Disclaimer under section 107 of the Copyright Act of 1976, allowance is made for “fair use” for purposes such as criticism, comment, news reporting, teaching, scholarship, education and research. Use of the trademark term Burning Man is in "fair use".